TrustServista is a Deep Natural Language Understanding platform that allows the analysis and verification of offline & online content. TEXT: Extract clean text from an URL or raw HTML. SUMMARY: Automatically generate a summary for an URL or raw text. ENTITIES: Extract named entities from an URL or raw text. COMPARE: Calculate the semantic similarity between two URLs or pieces of raw text. SENTIMENT: Extract the sentiment from an URL or raw text. CLASSIFICATION: Classify the content from an URL or raw text using IAB and IPTC taxonomies. LANGUAGE: Detect the language of a given URL or raw text. VECTOR: Vectorization of a given URL or raw text. METADATA: Verification and metadata extraction for an URL or raw text. You can simply use your RapidAPI account to purchase a TrustServista subscription, or try the API for free. 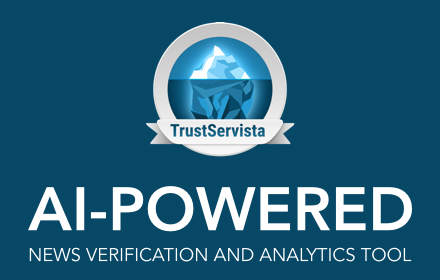 There is no need to register for an API key on the TrustServista.com website.